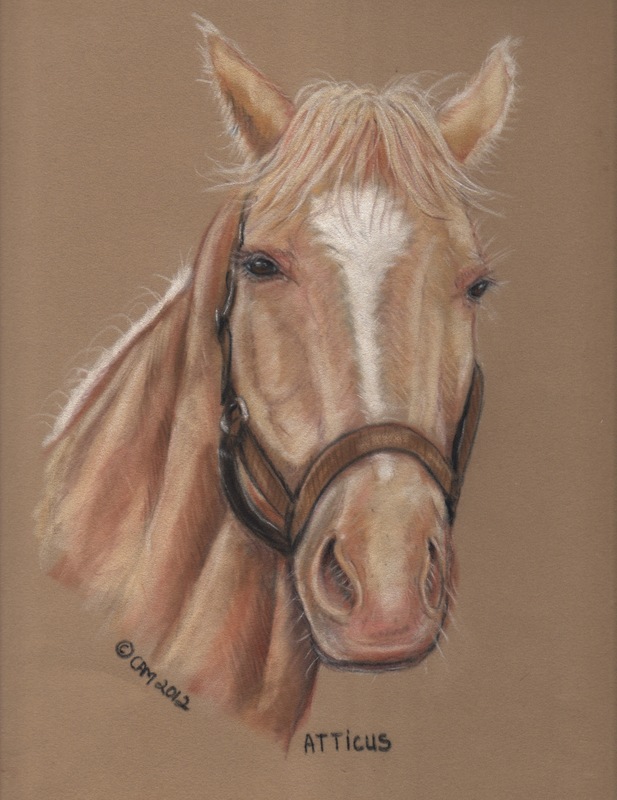 Here is the first attempt of a horse in pastel. The picture was from a friends photo that wasn’t the best as I really couldn’t see the eyes and the picture itself was fuzzy. I did the best I could and I did this on velour, which made it much more difficult. I am not really happy with the color choice of the background, as it doesn’t really make the horse “Pop” which I wanted. I am not too familiar with doing backgrounds on velour and so I was afraid to even attempt that yet.